OPA-200 original position analyzer for metal is a fast analysis instrument that was successfully developed by NCS with the support of the Ministry of Science and Technology. 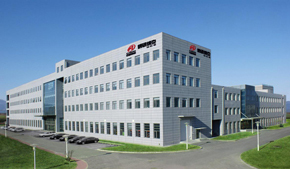 It is the first in the world for large-area quantitative analysis of component and statedistribution of metal materials. Its functions include element segregation analysis, quantitative analysis and distribution analysis of inclusions, metal surface porosity analysis and composition analysis. 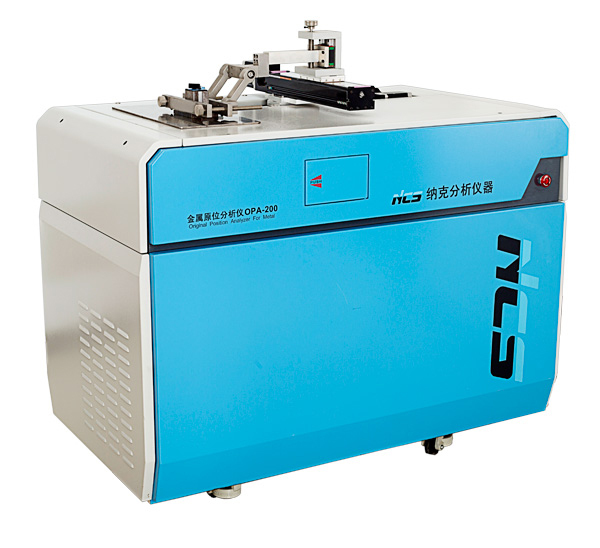 Compared with traditional technologies, it has distinctive advantages such as easy sample preparation, accurate quantization and rapid analysis. The original position analysis (OPA) technology is a technology used for analysis of the chemical composition and structure of theanobject in the original state.OPA can directly amplify spectral signals in an extensive area in a metal material, generated by non-preignition continuous-scanning excitation spark discharge, and rapidly collect data,by means of spark spectrum single discharge analysis, so that the original-state of chemical composition and concentrationat different positions on the sample surface and the surface texture information can be obtained for the purpose quantitative analysis of the composition and state of the sample. Traditional excitation platforms are used only to analyze a fixed positions on the sample surface. In order to analyze the component distribution, defects and inclusions, it is required to move the samples between the electrodes. The single spark discharge high-speed data acquisition technology developed by NCS is used to synchronously collect the intensity and position data of a single spark discharge in real-time and in multiple channels for quantitative analysis and distribution analysis of elements and inclusions. A scanning platform is used to hold the sample to providecontinuous motion excitation. The high-speed data acquisition system acquires and records the spectral line intensity and position of each spark discharge inreal-time The data are then sorted for a variety of analysis, such ascomposition analysis, element distribution analysis (segregation analysis), porosity analysis and inclusion distribution analysis. This new method is known as single discharge analysis, or “SDA” for short. Powerd by:szhd Copyright@2014 NCS Rights Reserved.